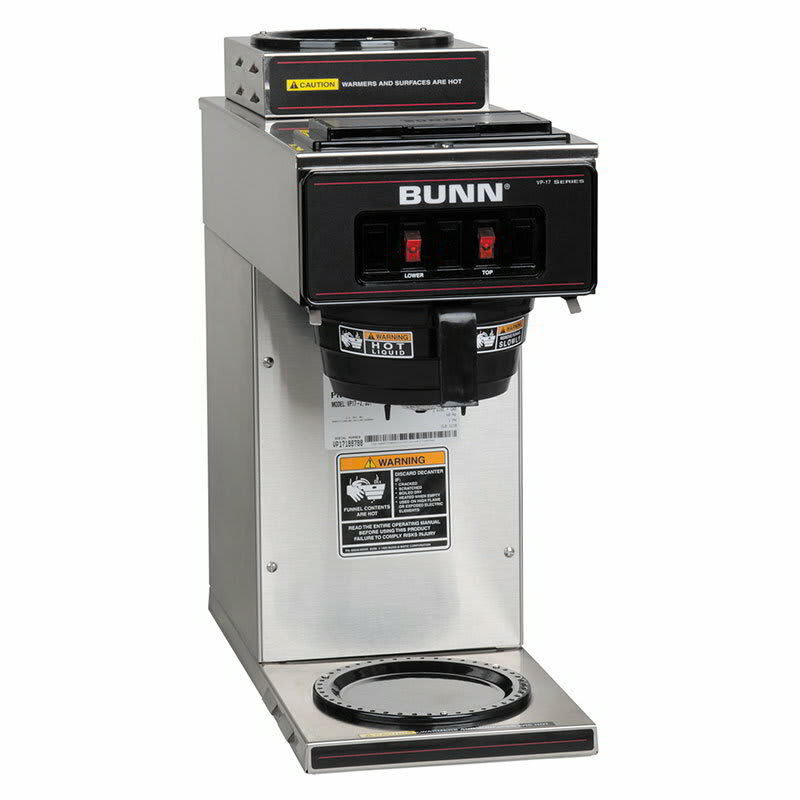 The Bunn VP17-2 coffee brewer's pourover design means it requires no plumbing, so it's portable and easy to install. It brews as many as 38 gallons of coffee per hour and includes two individually-controlled burners for keeping two decanters warm at the same time. The SplashGard® funnel is designed to prevent operator burns by deflecting coffee away from hands.